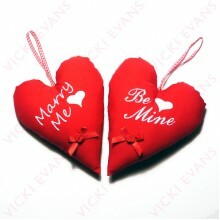 Embroidered messages on padded love hearts. 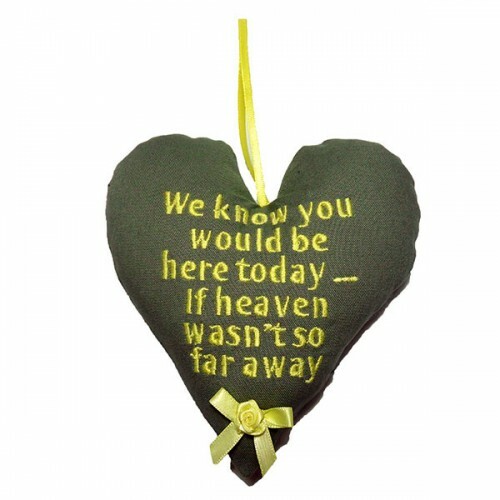 A great gift for all occasions including Valentines Day, Mothers Day and Weddings. 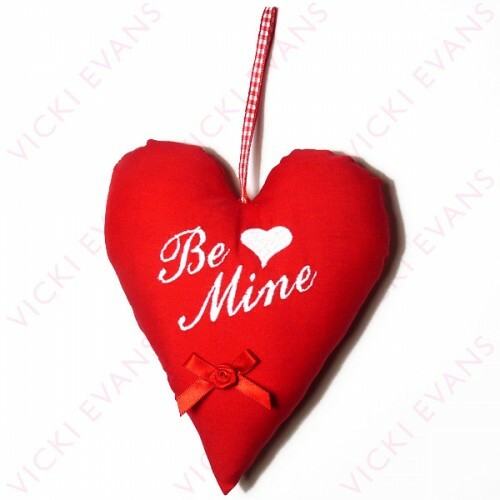 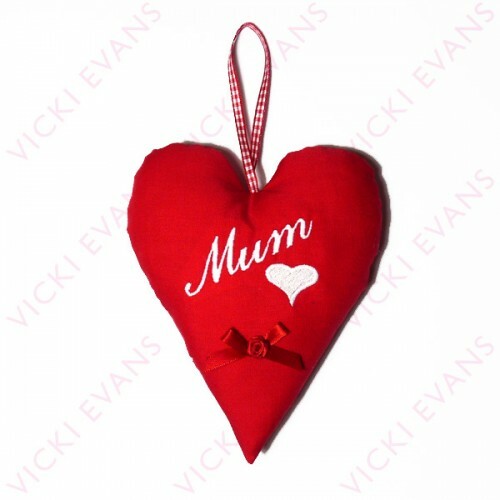 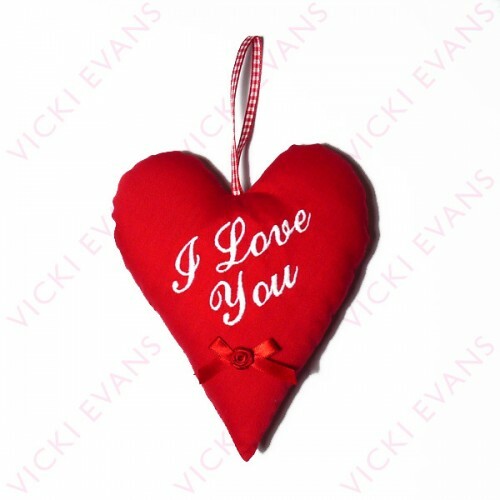 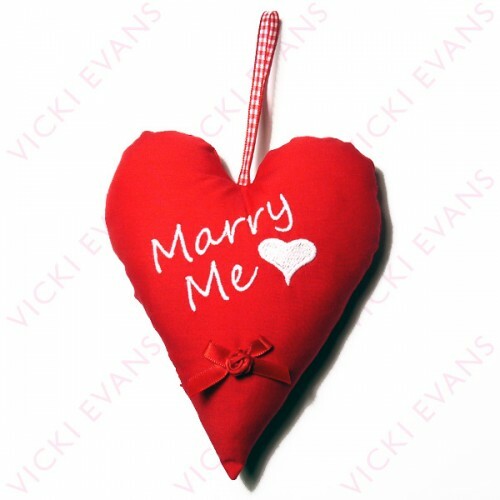 Messages are embroidered on to red cotton with a red rose bow and have a matching ribbon hanger.